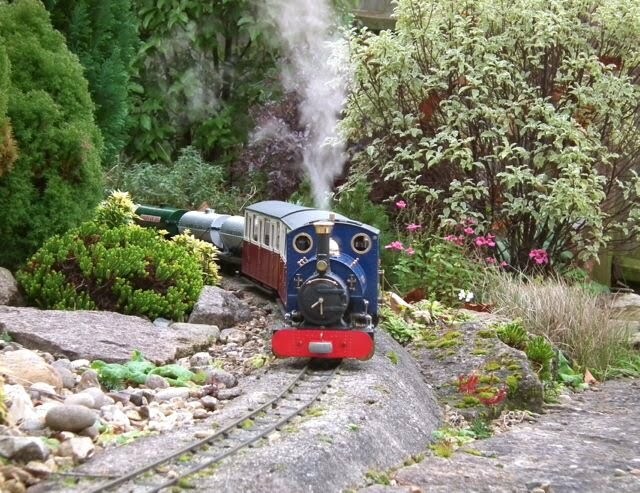 I have owned my Roundhouse Katie for about five years and about three years ago I converted it to radio control using the Roundhouse conversion kit. Included in the is kit is a replacement regulator, which instead of the blunt 'needle' valve has a coarse thread and an O ring to give firm closure and complete opening in the quarter of a turn provided by the servo. Now while the gives the ability to break the land speed record (they are powerful locos), it does not make for fine control, slow running or calm shunting, unless you have sophisticated radio control that allows large toggle movements to only move the valve a little. With my standard 2.4ghz radio, I found it a total pain for making videos, where even slow can look fast on camera. So for the past couple of years, I have run mine with the manual regulator, which closes well enough for me and gives enough opening for me on reasonable gradients and with pretty heavy loads. It gives slightly better control, but would not be what I would call relaxing. So what has changed? Well when I purchased the fine control steam and gas valves for my Accucraft Quarry Hunslet recently, Jason Kovac of The Train Department slipped an extra valve in for my to try. This valve is the replacement for the late type (after around 2005) manual valve and provides much finer throttle adjustment for manual locos. Go to www.thetraindepartment.com and look under Roundhouse the Roundhouse Parts. 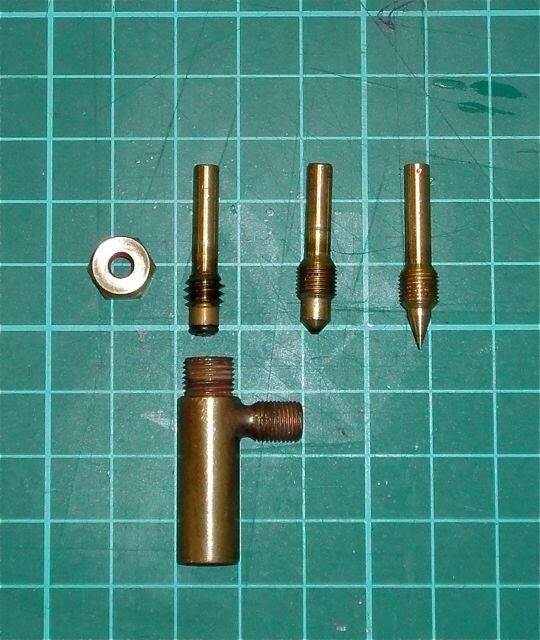 If in doubt about whether this will fit your loco, compare your valve spindle with the centre one in the photo below. A replacement for the early type is in the pipeline. My problem was that I don't have a manual Roundhouse loco and I thought that I was already pushing my luck by using the normal manual valve. However, spurred on by the success in using the Accucraft fine control valve with radio control on my Edrig conversion, I decided to give it a try. Just so that you can see the difference, below are the three valves. Left is the RH radio controlled version and you can see the O ring and the coarse thread. Middle is the RH manual and although the valve body looks the same, it has a smaller hole and a finer thread. On the right is the Train Department replacement which costs a mere $9 plus shipping. Well this was not a big job! Find the Allen key to undo the grub screw on the regulator control arm and loosen it. Remove the arm and then unscrew the gland nut. Unscrew the steam valve spindle and replace it with the new one. Replace the gland nut and then with the valve screwed in finger tight, replace the control arm. If manual control, that's it, but if R/C, check with the R/Con that it opens and closes correctly. Job done! I steamed up on blocks first to check operation and it seemed great, but the real test would be out on the track with a good load. My track has some mild gradients and some humps caused by tree roots and settlement, so it is a reasonable test. I put two Swift Sixteen coaches and five tankers on, which total about 6kg (12lbs). The result was remarkable - and an absolute pleasure! With 20psi on the clock, the loco didn't stall, but needed full regulator on a couple of gradients. With 40psi, just blowing off, it romped round with no more than 2/3rds regulator. Starting was quite different with lots of regulator to start and then shut down as it moves to give a much smoother getaway. Stopping in a station was much smoother too - partly because on 'gentle' close by the servo, it still allows a whisp of steam through. This allows you to coast to a stop. I spent ten minutes just backing on and off the train for fun - mostly gently - but it is a new art with so much more stick movement to play with. So what are the upsides? It is very cheap to buy, simple to fit and gives much finer control. Driving, even light engine, is much more pleasant and realistic.